As the snow melted away, and the flowers began to bloom, EMD Serono/BostonCares held a service day at The Arc of the South Shore. During this all day event, EMD Serono sent 60 employees to volunteer at our headquarters, located at 371 River Street in Weymouth, to paint the outside of our headquarters, reside the Henley Building and construct raised garden beds. Simultaneously, we had an additional 50 EMD Serono employees arrive at our Pleasant Street residential home to paint the entire home. The volunteers worked very hard, and did a wonderful job. A big thank you to all the EMD Serono employees who volunteered their time – all the hard work is greatly appreciated by everyone here at The Arc!! Check out the video on EMD Serono HERE. 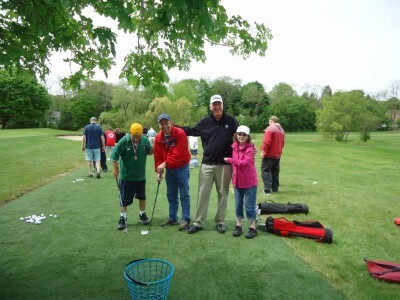 On Friday, May 15, The First Tee of Massachusetts hosted a wonderful day of golfing at the MGA Links at Mamantapett in Norton, MA. Along with Bob Beach, the golf professional from Braintree Municipal Golf Course, and 6 volunteers from the Commonweath Financial Group, 20 Arc golfers enjoyed a beautiful day on the links learning new golfing techniques and making some new friends!! 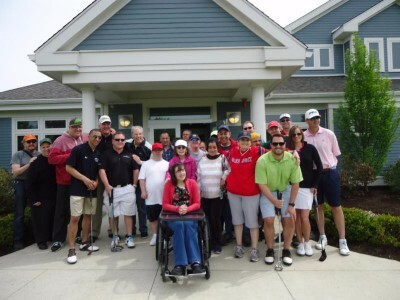 With the help of the volunteers and golf professionals, The Arc golfers were able to perform in all the planned activities for the day which included both putting and full swing. It was fun filled day on the course, and everyone had a fantastic day. Thanks again to Commonwealth Financial Group for supporting the Arc of the South Shore and our golfers!! Your help is always appreciated. This past May, over 50 local employees from Liberty Mutual Insurance Group participated in the Serve with Liberty program. 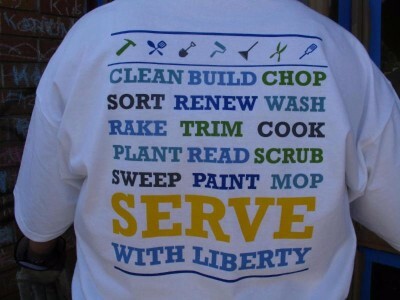 Serve with Liberty is the Liberty Mutual Insurance global employee community service program. 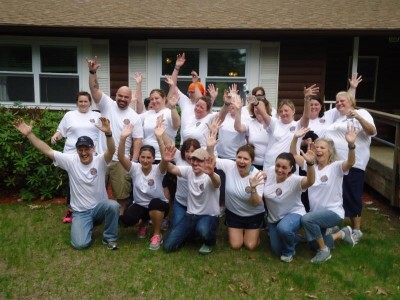 As part of this program, local employees from Liberty Mutual volunteered at several of our residential homes to help complete improvement projects in each of the homes. We had volunteers stationed at the following homes: River Street and Drinkwater Avenue in Braintree, Broad Street in Weymouth, and Pleasant Street in Rockland. The homes look great, with freshly painted rooms and new doors. We want to extend our heartfelt thanks to Liberty Mutual for all their hard work, and supporting The Arc of the South Shore. Our very own Jackie Pettinelli, Eileen Delaney, Bobby Gabrielle, Sue Hogan, and Bill Eno from our Community Based Day Supports Program attended The Volunteer Appreciation Luncheon at Lombardo’s. These five were recognized for their work each week at the Whipple Senior Center in Weymouth! 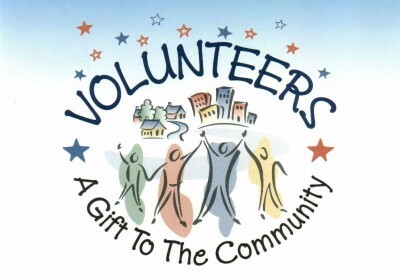 Volunteers are the foundation of many of our community based programs. Volunteers enable The Arc of the South Shore to build stronger, social, recreational and educational programs in the community. Volunteers also find that working with individuals at our Community Based Day Supports and Day Habilitation to be extremely rewarding. As a community based organization, The Arc of the South Shore will depend upon volunteers even more in the future in order to continue to provide the best quality services possible. Volunteers include students, business people, family members, employee groups and many others.